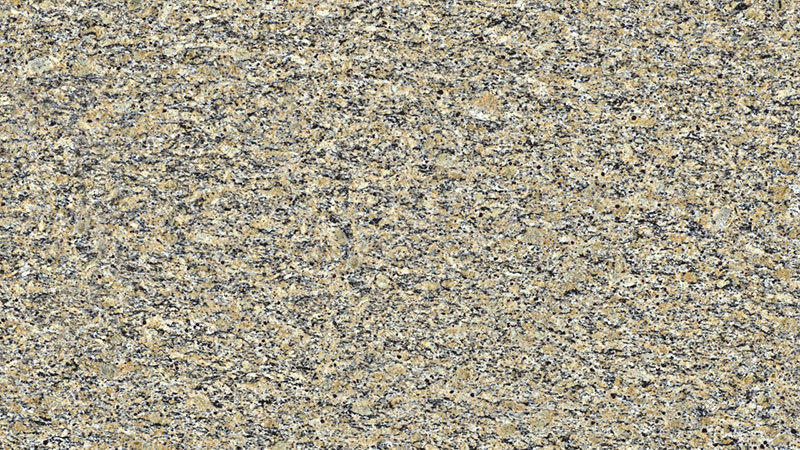 What Color is Santa Cecilia Granite? 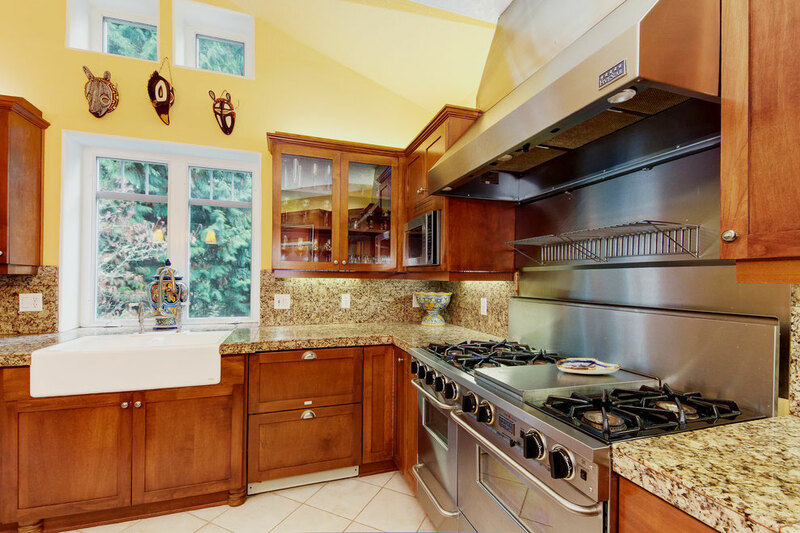 Granite countertops have never really gone out of fashion. However, in recent years, there seems to have been a revival, with people using it to remodel, upgrade or as they design and build their very first homes. The good news for those of you thinking about adding it to your kitchen, bathroom or outdoor area is that there is a huge range to choose from. 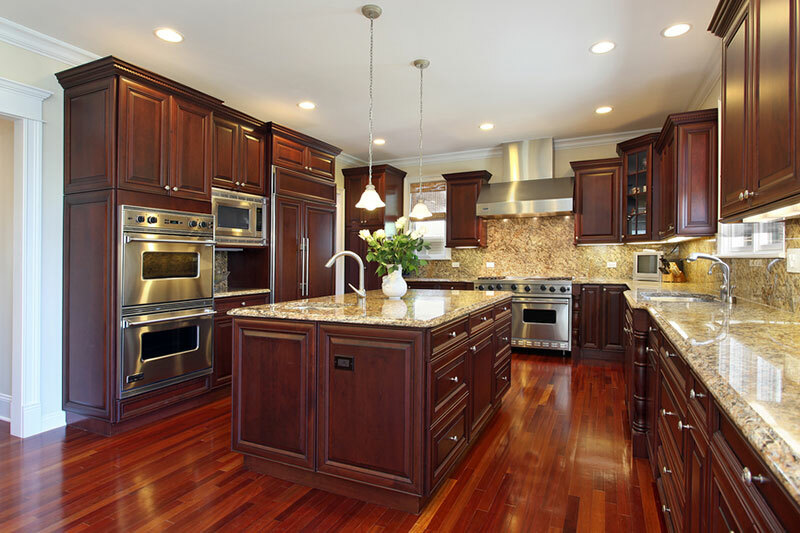 The bad news for those of you who want to refurbish your home with granite is there is a huge range available. With the wide variety available, it can be difficult deciding on the right color to suit your home, your taste and the area you’re planning to use it in. Other factors to take into consideration include overall appearance, pricing, thickness and even whether you want speckles or veins. Those in the know will have heard of Santa Cecilia granite, St. Cecilia or “Venetian Gold”. 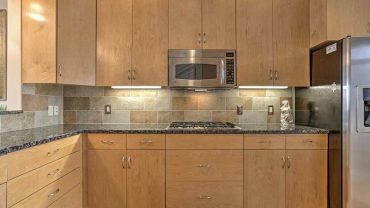 It is one of the oldest stones in existence and has quickly become one of the most popular and sought after granite styles. Santa Cecilia granite comes from the mines and quarries of Sao Paolo in Brazil and is as old as mother Earth herself. Appearance wise it is heavy, hard and dense but absolutely gorgeous. It is named after St. Cecilia, the patroness of church music that brings beauty to the ears of all, and while it might not necessarily appeal to ears, it most certainly appeals to the eyes. The granite is recognized by its soft, beige color with speckles and veins in shades of burgundy, gold and deep, dark grey. 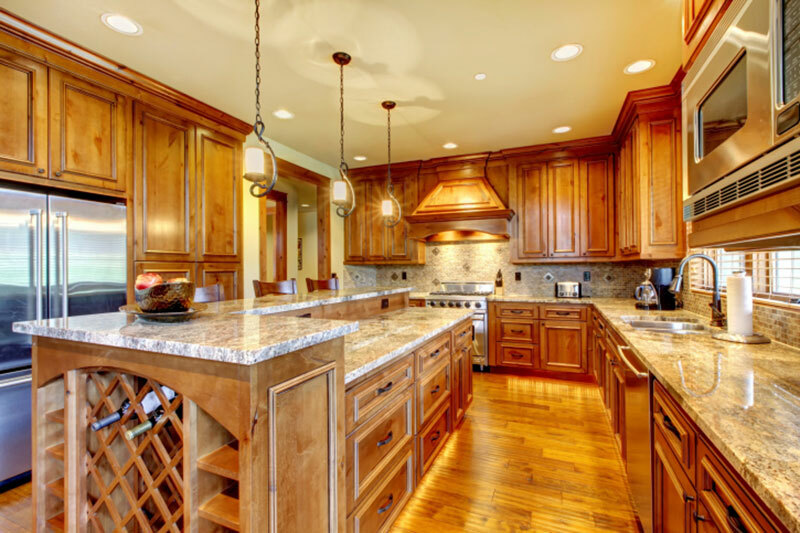 Although it is commonly used as countertops, people also love it for flooring, tiling around a fireplace, as a backsplash or even in the bathroom around the tub. Because of its durability and strength, it can withstand all the elements, making it ideal for outside use. 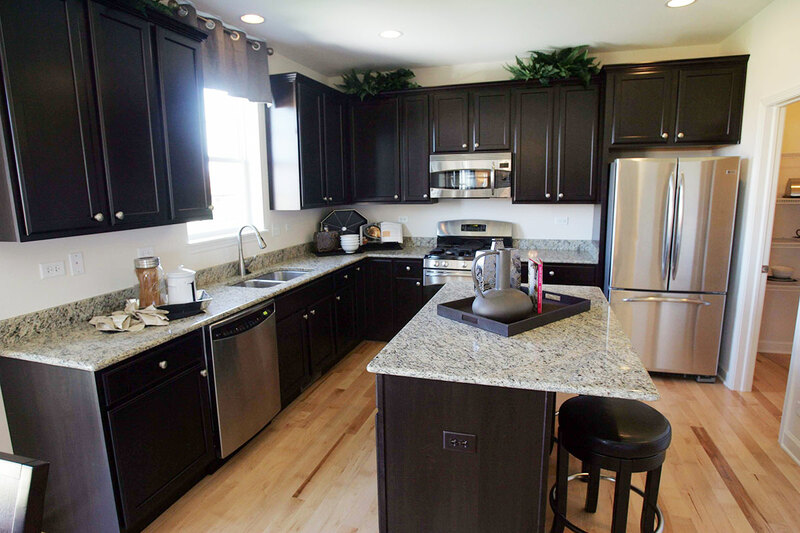 The most defining feature of the granite are the black mineral deposits; they can range from a pure black to a very deep and dark red color and can cover up to 30% of the stone. Part of its allure is how the dark black or burgundy contrasts against the soothing cream base, resulting in a nice blend of visually appealing scene. There is no way one can describe St. Cecilia as a particular color: the bedrock of the stone gives it an overall creamy tone but the variations formed inside the granite can range from a light or off-white through a light cream, to a dark color and even gold. If you were to ask a handful of people what they see they’ll remark on the cranberry-colored spots; others will comment on the gold sparkle. The gold colors appear because of the oxidization that has taken place over millions and millions of years and while it is breathtakingly beautiful the black spots or veins also add to the aesthetics. If you’re really lucky, you might even see the very rare and special St. Cecilia stone varieties that have orange or taupe stripes running through the granite. It’s important to keep in mind that no two slabs will look the same and none will have the same pattern. Also, depending on the light source and how it catches the slab, it shines in different colors: in direct light the granite will glow with the gold sparkles while on a dark or cloudy day it will appear more dull, but still be beautiful in its somberness. 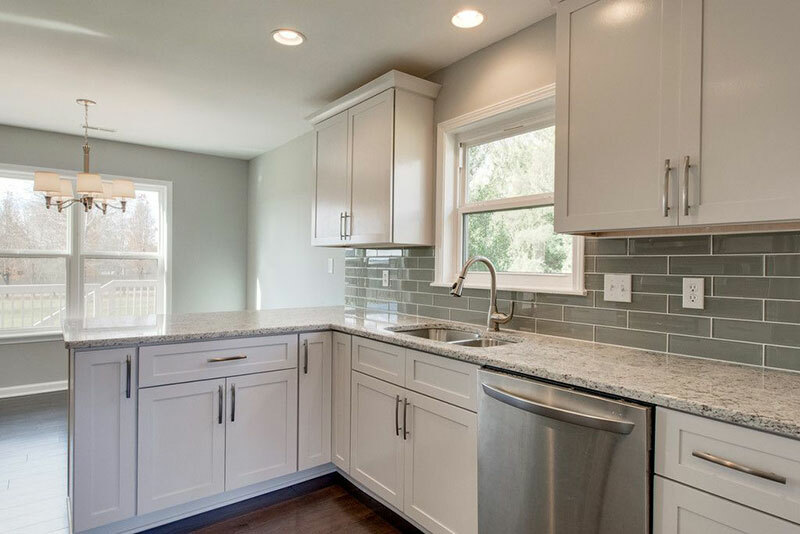 Santa Cecilia Light Granite: The light granite stone is also known as Latin Pearl or Samoa Light Granite and has a consistent pattern throughout. You’ll find accents of black, gold and brown colors, which puts it in the brown-gold range. This particular hue is versatile enough to work in a bathroom and kitchen. 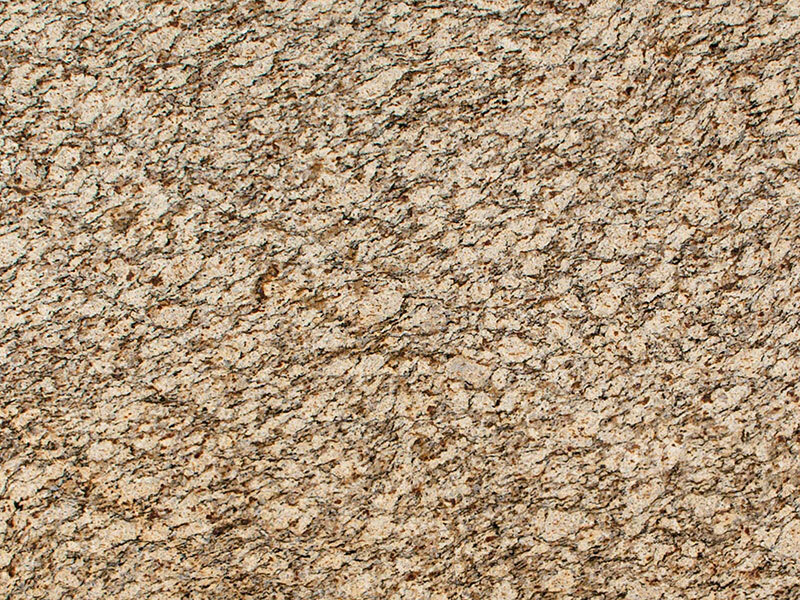 Santa Cecilia Gold Granite: Santa Cecilia Gold Granite falls into the gold range because of the various yellows and golds, however you will find blacks, browns, white, cream and even a sprinkling of claret or burgundy. The gold granite is less consistent because of the various colors and tones and brings a dramatic look to a bathroom or kitchen. 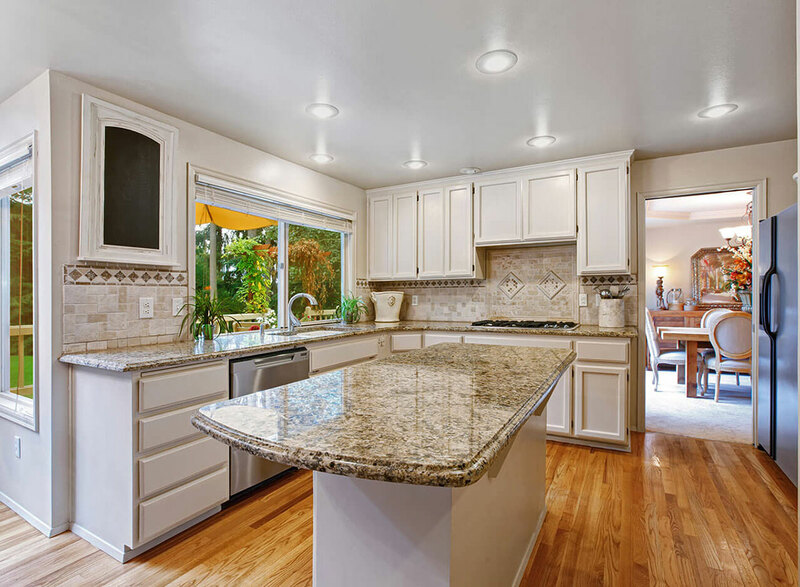 Santa Cecilia Classic Granite: Santa Cecilia, also known as St. Cecilia Classic or Samoa Classic, can be described as a consistent light yellow color. Throughout the slab you will see speckles of brown, black and burgundy, which makes it a popular choice for kitchens and bathrooms. 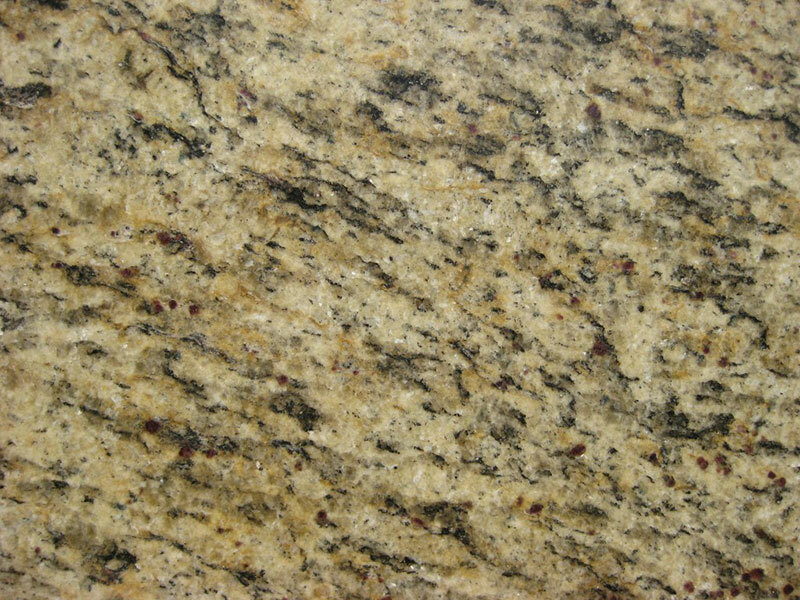 Santa Cecilia White Granite: Interestingly primary colors of Santa Cecilia granite are gold and white. The gold color is due to the oxidization, as mentioned and comes from deep depth quarries, while the white granite is from bigger depth quarries. Both are incredibly beautiful and popular. Santa Cecilia Dark Granite: This particular color is known as St Cecilia Dark, Giallo Cecilia Dark or Samoa and falls into the gold-gray range. If you look closely at the color variations you will see the slightest hints of ivory, burgundy and black veins running through the white stone. It’s a beautiful combination and brings an understated elegance to a bathroom or kitchen. Santa Cecilia is incredibly durable and can be used indoors as well as outdoors. It can be used for countertops, flooring and even landscape features. Many people opt to use it for backsplash areas too. 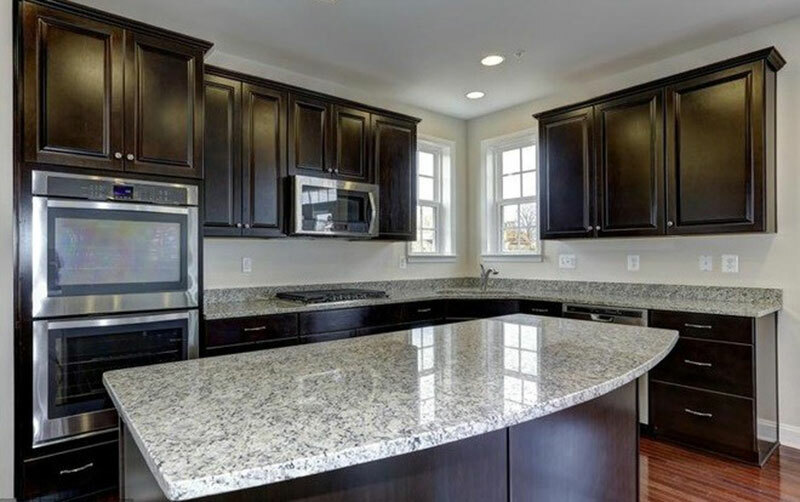 The various speckled colors that run through the granite means it fits in with most color combinations as well as materials, like wood, cement or slate. Santa Cecilia granite countertops are considered design-friendly because they are so versatile and fit in with most color combinations. Santa Cecilia countertops are scratch-resistant, can withstand high temperatures and are antibacterial, which means it is hygienic for kitchens and bathrooms. It is easy to keep clean, with a simple wipe-down. It will need sealing every few years to keep it in good condition. Some might consider it expensive. Even though it’s very popular and in high demand. 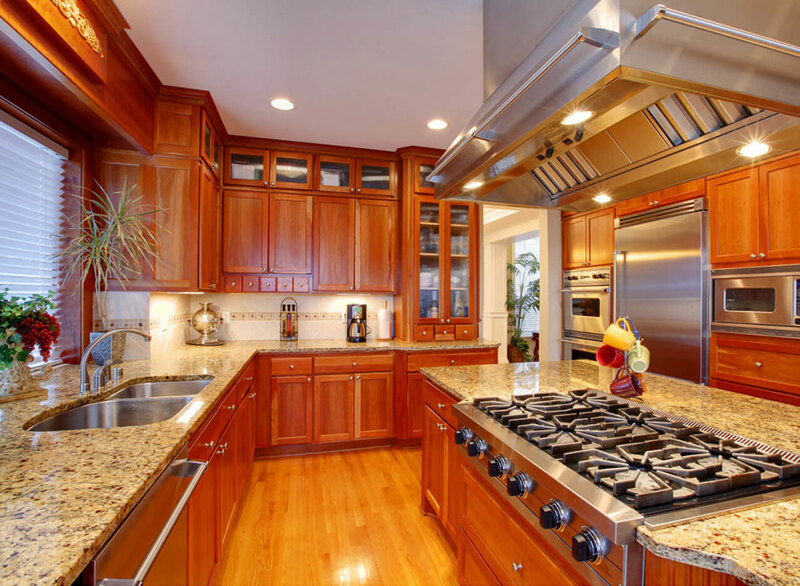 it is still considered to be a low-end granite in terms of its prices. Depending on where buy it. you can expect to pay around $35 to $45 for a 3cm thick slab while a 2cm thick slab will come in at about $20 to $30 per square foot. Keep installation in mind to avoid any unpleasant surprises at the end. 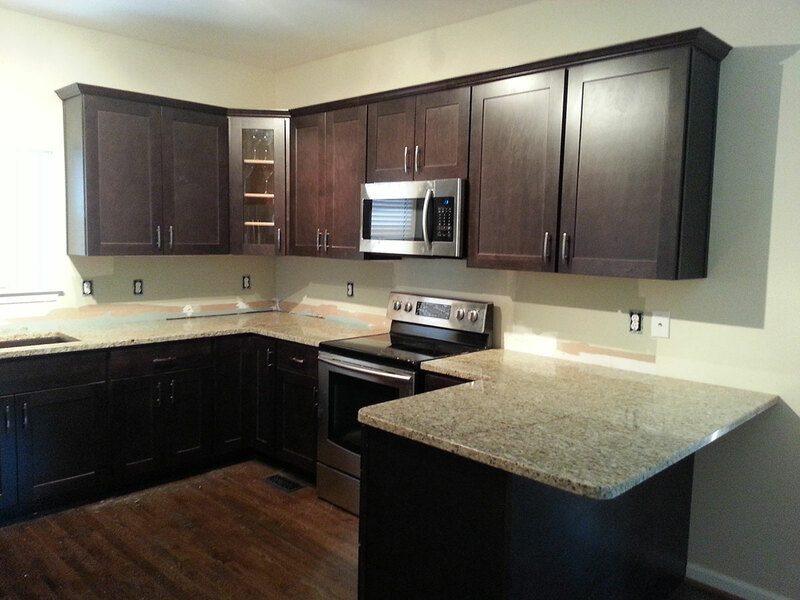 To install the granite it will cost anything from $35 to $45 per square feet. If your budget is a little tight you can buy the raw granite rather than the tiles, which will cost between $18 and $23 per square foot. 1. 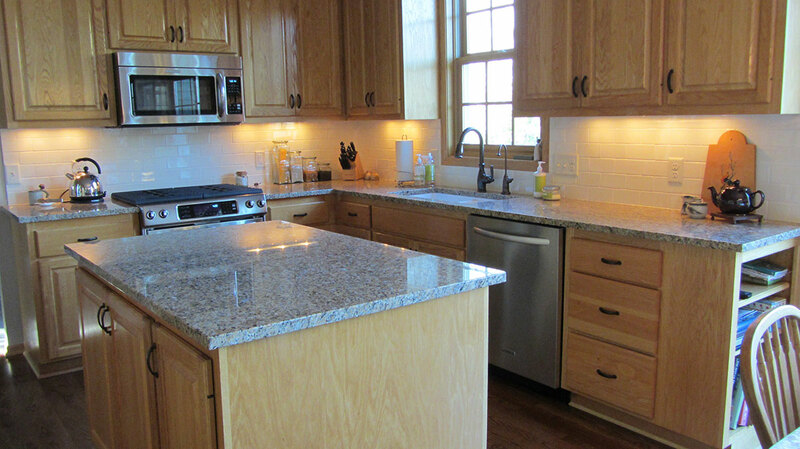 When shopping for St. Cecilia granite don’t look for a specific color by name. 2. Even if you’ve seen the exact color online or in a magazine it’s not going to be easy finding the exact color in a store. This is because of all the variations of color, the lighting used during the photoshoot and even the lighting inside the kitchen or bathroom it was displayed in. 3. If you can, always buy it from the same ‘bundle’. Granite is shipped in slabs from a quarry to a warehouse in bundles and they are generally all cut from the same block. 4. Time permitting, try and see the granite in real light and at different times of day. If necessary, ask for a sample to take home and place in the room or area you plan on using it. It’s the only way you will get a true representation of the color and will hopefully avoid any disappointments down the line. 5. Check the warranty on the granite. Most come with anything between 10 and 15 years, which is perfect. 6. There’s a chance the sales person might not appreciate it but it’s a good idea to do a lemon juice test on the slabs you intend buying. 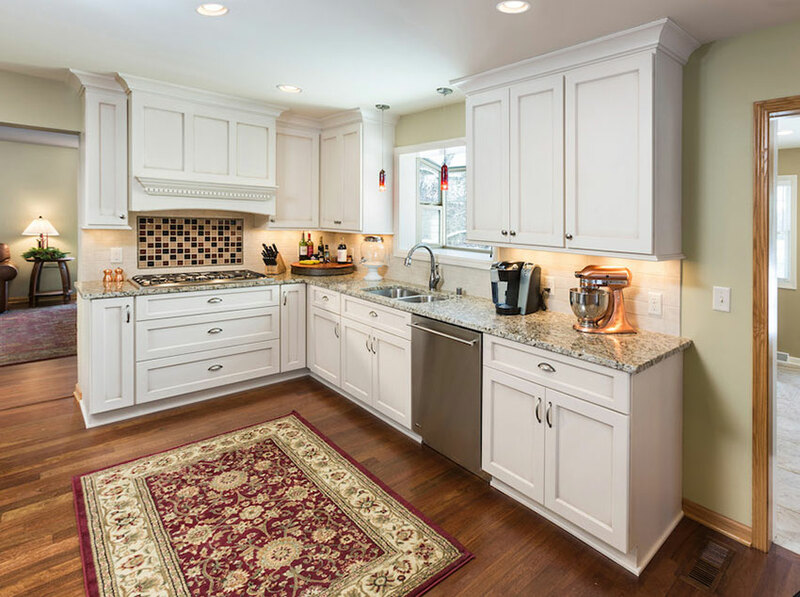 The lemon juice will determine whether the granite is sensitive to acid, and will help you decide whether you want it in your kitchen as a countertop. 7. St. Cecilia granite is dense and very thick. Make sure you find people who know how to handle it and are qualified in installing it correctly.